Kyphoscoliosis, medically termed kyphosis, involves the forward rounding of the upper back. The rounding is typically extreme, occurring at greater than 50 degrees. 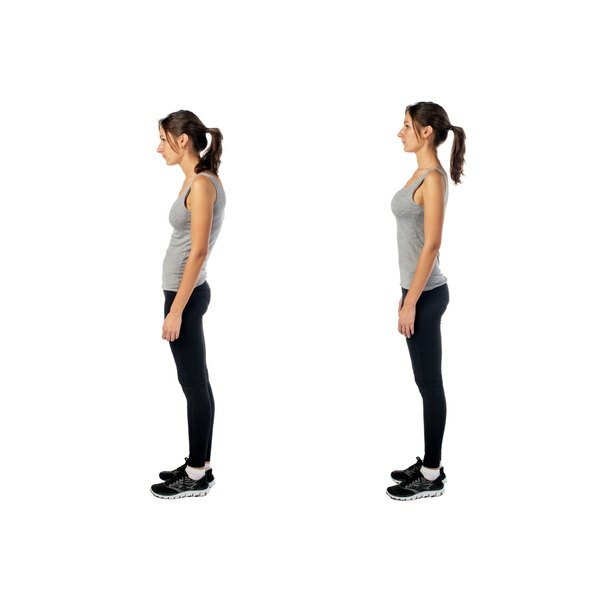 Curvature of the spine causes a bowing of the back, which leads to a hunchback or slouching posture. Mild kyphosis cases usually involve minor problems; however, severe cases can affect the lungs, nerves and other tissues and organs. Kyphosis occurs in the thoracic portion, or the middle aspect, of the spinal column. The thoracic part of the spine consists of 12 vertebrae, all of which have forward rounding due to kyphosis. Spinal deformity can be caused by different factors, such as degenerative disease, developmental problems or trauma. However, the exact cause of development depends on its type. There are three types of kyphosis; postural, Scheuermann’s and congenital. Postural kyphosis, the most common type of kyphosis, develops slowly and usually becomes apparent in adolescence. Postural kyphosis is often attributed to slouching. In fact, researchers believe slouching causes stretching of the spinal ligaments, resulting in abnormal formation of the bones of the spine. Postural kyphosis is commonly accompanied by an exaggerated inward curve, or hyperlordosis in the lower aspect of the spine. Hyperlordosis usually forms to compensate for the exaggerated outward curve of the upper spine from kyphosis. Scheuermann’s kyphosis commonly appears in adolescence, between the ages of 10 and 15, when the bones are still growing. Scheuermann’s kyphosis deforms the vertebrae, making them appear wedge-shaped instead of rectangular-shaped. Unlike postural kyphosis, Scheuermann’s kyphosis causes a more severe deformity of the spine, because it can occur in the lumbar -- lower region of the spine -- in addition to the thoracic region. A malformation of the spinal column can occur in some infants during fetal development, resulting congenital kyphosis. During congenital kyphosis, the vertebrae fuse together or the bones do not form properly. Congenital kyphosis worsens as the child grows, and in some cases, surgical treatment may be needed at a very young age to create more of a normal spine. Untreated congenital kyphosis may eventually lead to paralysis of the lower body. The spinal deformity kyphosis causes can result in a lump or hump on a person’s back, which can worsen and become more prominent over time. Some people may develop back pain from the misalignment of the spine, which can range from mild to severe. In extreme forward rounding cases, the curve may cause the rib cage to press against the lungs, inhibiting the person's ability to breathe. In rare cases, excessive spinal pressure can cause weakness or paralysis. Meredith Wood obtained her Master of Science degree in clinical exercise physiology at East Stroudsburg University. She is certified by the American College of Sports Medicine as a clinical exercise specialist. Wood is passionate about increasing the awareness and prevention of cardiovascular disease. She began promoting health and wellness to the community in 2004, when she was a division one collegiate athlete.